Note: From a recent Facebook post by Books Beyond Bars, the wonderful collective whose members visit the women’s section of the Central Nova Scotia Correctional Facility in Burnside to deliver books and journals to the women who are incarcerated there. We published a story about their excellent work here. Due to unforeseen circumstances, we need to move our library from its current space to a new space by Friday February 8th. This is all very short notice and there will be a huge amount of work involved in this move. In the next 10 days, we need to pack up our entire library and move it to a new space, or an interim temporary storage location. 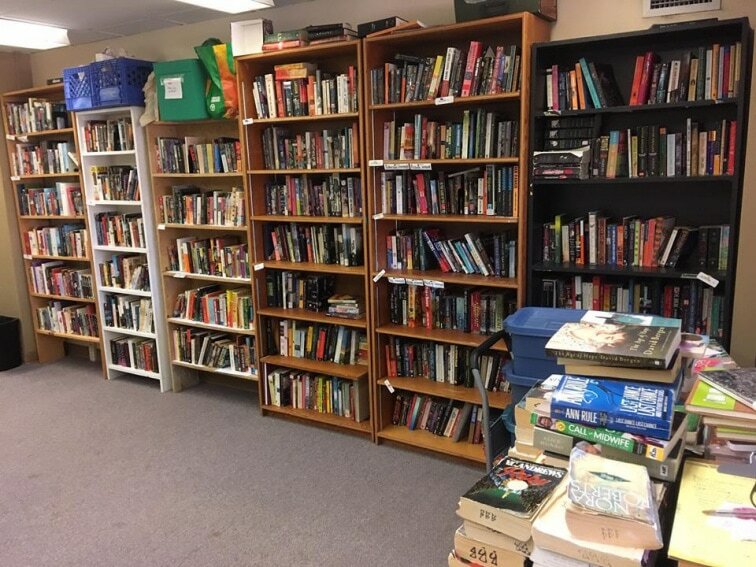 Our library has been in its current space for over a decade and is made up of thousands of books, from popular fiction and non-fiction to local authors and self-published works. -> We need a new space to house our library. Preferably in peninsular Halifax or central Dartmouth. Ideally this space would be free or low cost to use and available for us to access any time. Help us connect with people or organizations who could offer us library space. -> Help with packing and clearly labelling boxes of books at our current location on Gottingen street. Please be in touch with us via email booksbeyondbars@gmail.com or send a message to us through our Facebook page: https://www.facebook.com/BBBHFX/ with offers or help or any suggestions regarding a new space to house our library.